Science is trying to kill melanoma cells by infecting lab grown Herpes virus. Melanoma is 6 th killer in total cancer and it is number 1 killed of skin cancer, no new treatment available except interferon and some new experimental drugs. But recent trial of infection patient to herpes , grown in labs seems working for treatment of Melanoma.We’re still far from eradicating cancer, but researchers are making progress with all sorts of interesting therapies that could put a stop to abnormal cell growth and cure certain types of cancer. The Food and Drug Administration approved the new virus-based therapy, Ars Technica reports, which uses the talimogene laherparepvec (T-VEC) virus,to treat advanced melanoma, initiating “ cancer cells death ” when mixed these types of cells. 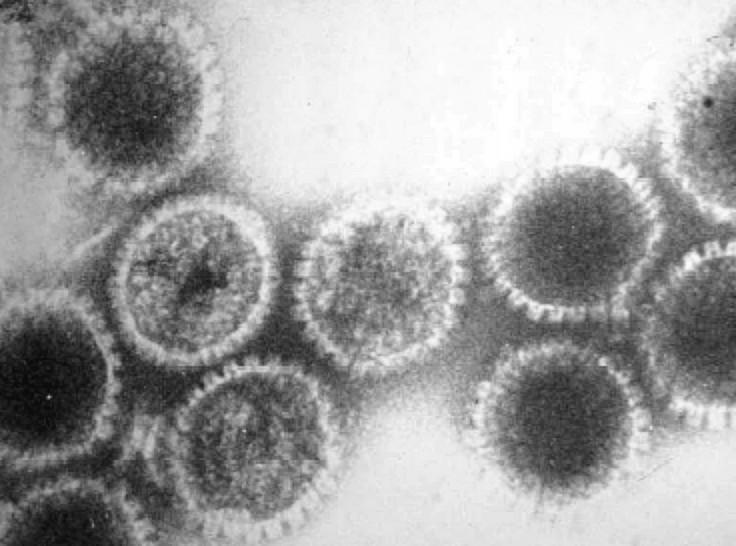 The virus also carries a protein called GM-CSF that triggers the immune system that jumps in as the virus destroys cancer cells. T-VEC isn’t a miracle cure so far and only improves survival for 4.5 month so far. More details about T-VEC therapy are available in the Journal of Clinical Oncology. Most of us love ghee. But we have a problem. We’re told that ghee isn’t healthful. We’re told that ghee causes heart disease. And more importantly, we’re told that ghee makes us fat! The primary reason behind such recommendations is that ghee is rich in saturated fat and saturated fat is supposedly harmful. But what if saturated fat isn’t harmful but, in fact, healthful? Shocking, I know. But consider the following. Saturated fat is found abundantly in real foods such as dairy (milk, yogurt, cheese, cream, butter, ghee), coconuts, macadamia nuts and meat. Ghee, also known as clarified butter or anhydrous milk fat, is prepared by heating butter or cream to just over 100°C, then filtering out the precipitated milk solids. Ghee is known as ghrta (commonly spelled ghrita) in Sanskrit. According to Ayurveda, ghee promotes longevity and protects the body from various diseases. It increases the digestive fire (agni) and improves absorption and assimilation. It nourishes ojas, the subtle essence of all the body's tissues (dhatus). It improves memory and strengthens the brain and nervous system. It lubricates the connective tissues, thereby rendering the body more flexible. With regard to the three doshas (organizing principles that govern the physiology), ghee pacifies Vata and Pitta and is acceptable for Kapha in moderation. Ghee is heavily utilized in Ayurveda for numerous medical applications, including the treatment of allergy, skin, and respiratory diseases. Many Ayurvedic preparations are made by cooking herbs into ghee because of its anupana (vehicle) for transporting herbs to the deeper tissue layers of the body. ; the lipophilic action of ghee facilitates transportation to a target organ and final delivery inside the cell since the cell membrane also contains lipid. Free radicals, as well as the aging process. 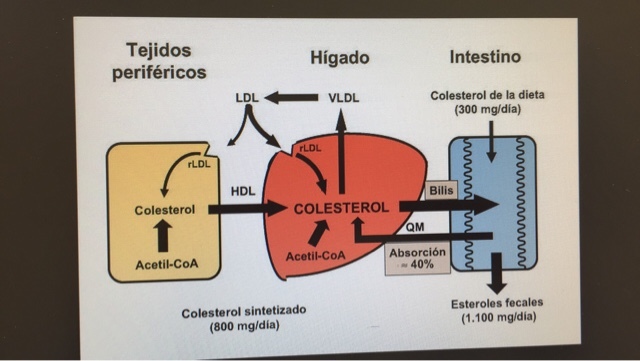 [10–12] Lipid peroxidation, a free radical-mediated reaction,IS CAUSITIVE FACTOR FOR HEART DISEASE, HEART ATTACK, inflammation, head injury, stroke, carcinogenesis, cardiovascular disease, and aging. According to study in PubMed,the effects of 10% dietary ghee on microsomal lipid peroxidation, as well as serum lipids, reduces risk of cardiovascular and other free radical-induced diseases. Not only it decrease in total cholesterol, LDL, very low density lipoprotein (VLDL), and triglycerides. Liver cholesterol and triglycerides were also decreased, and when ghee was the sole source of fat at a 10% level, polyunsaturated fatty acids (PUFA) in the serum and liver lipids were significantly reduced. What most of modern Doctors, Pharmacy companies tell lie to people that saturated fat is not good, they are advocating for pharma companies and multimillionaries who introduced vegetable oil in market to make them rich.Infact saturated fat is good for body. Only PUFA and transfat is bad part of fat you do not want like Vegetable oil(vanaspati ghee) etc. If you want to use OIL-Use coconut oil, mustard oil. NEVER EVER USE CORN OIL,SOYABEEN OIL,HYDROGENATED VEGETABLE OIL AND Canola oil,(which is basically purified machine oil). Ghee contains conjugated linoleic acid which has been shown to decrease serum LDL and atherogenesis. Serum oleic acid levels that increased when the animals were fed ghee-supplemented diets may enable LDL to resist oxidation, which in turn may prevent plaque formation. Researchers have deciphered the mechanism of ghee's protective properties. 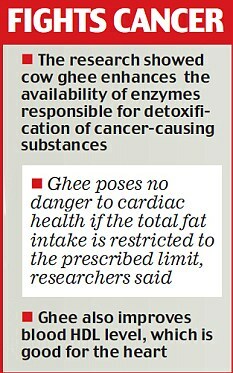 'Feeding cow ghee decreased the expression of genes responsible for cell proliferation and raised regulated genes responsible for cell apoptosis', explained Dr Vinod Kansal, who led the research team. One probable factor in cow ghee is the presence of conjugated linoleic acid (CLA), which is known to possess beneficial properties. Cow ghee is a rich natural source of CLA, whereas, vegetable oils lack this particular fatty acid. Most vegetable oils contain high amount of unsaturated fatty acid as well as linoleic acid - which is considered pro-carcinogenic as it forms free radicals known to damage DNA. Study  shows that if 60 ml medicated ghee used for 7-day period, it decreases 8.3% in serum total cholesterol, a 26.6% decrease in serum triglycerides, a 17.8% decrease in serum phospholipids, and a 15.8% decrease in serum cholesterol esters. The patients experienced a significant reduction in scaling, erythema, pruritis, and itching, and a marked improvement in the overall appearance of the skin, which works for Psoriasis due in part to ghee's ability to lower prostaglandin levels and decrease secretion of leukotrienes, which are inflammatory mediators derived from the arachidonic acid cascade. That is reason Ghee also helps for asthma by significant decrease in the secretion of leukotrienes B4 (LTB4), C4 (LTC4), and D4 (LTD 4) by peritoneal macrophages. Spiteller points out that saturated fatty acids do not undergo lipid peroxidation processes and therefore atherosclerosis is not induced by the consumption of fats containing saturated fatty acids. PUFAs are readily oxidized however and Spiteller implicates cholesterol-PUFA esters in the process of atherogenesis. Due to the PUFA content, the cholesterol esters become oxidized and are then incorporated into LDL and transferred to endothelial cells where they cause damage that induces structural changes, ultimately resulting in the lipid peroxidation processes described above. Ghee contains antioxidants, including vitamin E, vitamin A, and carotenoids, which may be helpful in preventing lipid peroxidation. There is direct link of increased risk of cardiovascular disease and trans fatty acids, which are unsaturated fatty acids with at least one double bond in the trans configuration. They are formed during the partial hydrogenation of vegetable oils. Compared to the consumption of equal calories from saturated fats, trans fatty acids raise levels of LDL and reduce levels of HDL. In India, partially hydrogenated vegetable oil known as vanaspati was introduced in the 1960s and promoted as “vegetable ghee.” It contains up to 40% trans fatty acids and has gained wide usage in home-based cooking. It is also heavily utilized in the preparation of commercially fried, processed, bakery, ready-to-eat, and street foods. Singh and colleagues studied the association of ghee and vegetable ghee intake with higher risk of coronary artery disease (CAD) in rural and urban populations in northern India. Increased prevalence of CAD was associated with the intake of ghee plus vegetable ghee, but the risk was lower with consumption of ghee alone. .
Raheja points out that Asian Indians previously had a low incidence of coronary heart disease and for generations had been using ghee in their cooking, which is low in PUFAs such as linoleic acid and arachidonic acid. The epidemic of coronary heart disease in India began two to three decades ago when traditional fats were replaced by oils rich in linoleic and arachidonic acid,[44,45] as well as trans fatty acids which comprise 40% of vanaspati. Adulteration of commercially prepared ghee with vanaspati is also prevalent in India. Other factors that may be involved in the increased prevalence of CAD include an increased level of stress by induction of atherogenesis because it results in the release of adrenaline which induces narrowing of the arteries and subsequent lipid peroxidation reactions as discussed previously. For thousands of years Ayurveda has considered ghee to be the healthiest source of edible fat. In the last several decades, ghee has been implicated in the increasing prevalence of CAD in Asian Indians. Our previous research and data available in the literature do not support a conclusion of harmful effects of the moderate consumption of ghee in the general population. Our present study on Fischer inbred rats indicates that consumption of 10% ghee may increase triglyceride levels, but does not increase lipid peroxidation processes that are linked to a higher risk of cardiovascular disease. Many research studies have been published, which report beneficial properties of ghee and herbal mixtures containing ghee. In animal studies, there was a dose-dependent decrease in serum total cholesterol, LDL, VLDL, and triglycerides; decreased liver total cholesterol, triglycerides, and cholesterol esters; and a lower level of nonenzymatic-induced lipid peroxidation in liver homogenate, in Wistar outbred rats. Similar results were obtained with heated (oxidized) ghee. When ghee was used as the sole source of fat at a 10% level, there was a large increase in oleic acid levels and a large decrease in arachidonic acid levels in serum lipids. In rats fed ghee-supplemented diets, there was a significant increase in the biliary excretion of cholesterol with no effect on the HMG CoA reductase activity in liver microsomes. A 10% ghee-supplemented diet decreased arachidonic acid levels in macrophage phospholipids in a dose-dependent manner. Serum thromboxane and prostaglandin levels were significantly decreased and secretion of leukotrienes by activated peritoneal macrophages was significantly decreased. A study on a rural population in India showed a significantly lower prevalence of coronary heart disease in men who consumed higher amounts of ghee. High doses of medicated ghee decreased serum cholesterol, triglycerides, phospholipids, and cholesterol esters in psoriasis patients. Ellen Kauffman ,Lancaster Foundation, New Bethesda, MD, USA. 1. Acharya KT. Ghee, vanaspati, and special fats in India. In: Gunstone FD, Padley FB, editors. Lipid Technologies and Applications. New York: Marcel Dekker Inc; 1997. pp. 369–90. 2. Tirtha SS. Bayville, NY: Ayurveda Holistic Center Press; 1998. The Ayurveda Encyclopedia. 3. Lad V. New York: Harmony Books; 1998. The Complete Book of Ayurvedic Home Remedies. 4. Sharma HM. Butter oil (ghee) – Myths and facts. Indian J Clin Pract. 1990;1:31–2. 5. Illingworth D, Patil GR, Tamime AY. Anhydrous milk fat manufacture and fractionation. In: Tamime AY, editor. Dairy Fats and Related Products. Chichester, West Sussex: Wiley-Blackwell; 2009. 6. Rajorhia GS. Ghee. In: Macrae R, Robinson RK, Sadler MJ, editors. Encyclopedia of Food Science. Vol. 4. London: Academic Press; 1993. pp. 2186–99. 7. Sserunjogi ML, Abrahamsen RK, Narvhus J. A review paper: Current knowledge of ghee and related products. Int Dairy J. 1998;8:677–88. 8. Dwivedi C, Crosser AE, Mistry VV, Sharma HM. Effects of dietary ghee (clarified butter) on serum lipids in rats. J Appl Nutr. 2002;52:65–8. 10. Sharma H. Toronto: Veda Publishing; 1993. Freedom from Disease: How to Control Free Radicals, a Major Cause of Aging and Disease. 11. Harman D. Free radical theory of aging: Role of free radicals in the origination and evolution of life, aging, and disease processes. In: Johnson JE Jr, Walford R, Harman D, Miquel J, editors. Free Radicals, Aging, and Degenerative Diseases. New York: Alan R. Liss; 1986. pp. 3–49. 12. Sharma HM. Free radicals and natural antioxidants in health and disease. J Appl Nutr. 2002;52:26–44. 27. Kumar MV, Sambaiah K, Mangalgi SG, Murthy NA, Lokesh BR. Effect of medicated ghee on serum lipid levels in psoriasis patients. Indian J Dairy & Biosci. 1999;10:20–3. 35. Hanna AN, Sundaram V, Falko JM, Stephens RE, Sharma HM. Effect of herbal mixtures MAK-4 and MAK-5 on susceptibility of human LDL to oxidation. Complement Med Int. 1996;3:28–36. 44. Raheja BS. Dietary fats and habits and susceptibility of Asian Indians to NIDDM and atherosclerotic heart disease. 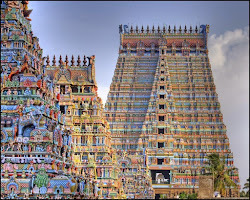 J Diabet Assoc India. 1991;31:21–8. 46. Ganguli NC, Jain MK. Ghee: Its chemistry, processing and technology. J Dairy Sci. 1973;56:19–25. Read more about myth of Ghee and heart disease- here. heart attack and started treating the patients with STATIN. difference of opinion on this issue. “Heart disease in the form of myocardial infarction was nonexistent in 1900 when egg consumption was three times what it was in 1956 and corn oil was unavailable. . . . See here, I began my practice as a cardiologist in 1921 and I never saw an MI patient until 1928. Back in the MI free days of 1920 the fats were butter and lard. And I think that we would all benefit from the kind of diet we had at that time when no one had heard the word ‘corn oil’” (Morell, 2008). Cholesterol scam is the most inhuman conspiracy of medical science & Pharmaceutical Companies which could wipe out Human Race from our planet earth in due course. The cholesterol needed for our body is mainly produced by our liver. About 15% of the cholesterol is only being donated by the food we eat. for our body, and medical science has no authority to stop its production. Trying to control the functioning of liver (cholesterol treatment) through statin drugs is a very dangerous practice. The production of coenzyme Q10, from liver, known as the energy switch of the body is also likely to hamper through STATIN drugs. could hamper the function of Liver??. which shows the liver of the individual is in good health. Dr. George V. Mann M.D. associate director of the Framingham study for the incidence and prevalence of cardiovascular disease (CVD) and its risk factors states: "Saturated fats and cholesterol in the diet are not the cause of coronary heart disease. That myth is the greatest deception of the century, perhaps of any century"
Cholesterol is the biggest medical scam of all time. There is no such thing as bad Cholesterol! Men of science have abandoned truth for money. Attempting to control cholesterol is a very, very dangerous practice that occurs in every hospital and medical clinic daily. "Statin Drugs Actually Increase Heart Disease"
So you can stop trying to change your Cholesterol level. Studies prove beyond a doubt, cholesterol doesn't cause heart disease and it won't stop a heart attack. The majority of people that have heart attacks have normal cholesterol levels. Block all over the body .. for example kidney, pancreas. Urinary bladder. The lungs function to absorb oxygen from the air we breathe so that our body could make use of it. Without oxygen, we couldn’t possibly survive! Oregano- Oregano can help reduce the severity of allergy symptoms because it has rosmarinic acid – a natural antihistamine. The herb also contains thymol, terpenes, and carvacrol which can effectively eradicate fungi and different types of bacteria from your lungs. oregano is a natural decongestant. Research by the ENT Department of the Israel Institute of Technology . How to use: Cook oregano with food. The aroma it gives off while cooking acts as a decongestant. Oregano can be prepared fresh or dry depending on your taste. You can also add a few drops of oregano oil in your milk, tea, or juice at least once a day to detoxify your lungs. The flowering plant has long been used by Aboriginal Australians as an herbal remedy for respiratory ailments including asthma, pneumonia, and tuberculosis. Austrians traditionally took it as tea or added it to ointments and baths for external use. How to use: Add mullein in tea by adding 1 to 2 tsps. of dried flowers and/or leaves to a cup of boiling water. Steam the herb for 10 minutes then strain before drinking. Osha is a plant which is most powerful lung detoxifiers you can get,used by narive Americans for colds, cough, and other respiratory problems . It grows on the high mountains of northwest Mexico and the Rocky Mountains of Canada.Among its detoxifying ingredients are camphor, terpenes, saponins, phytosterols, and ferulic acid.It has anti-histaminic properties. How to use-Add 1 to 2 tsps. of cut or crushed Osha root to 1 cup of boiling water. Steam for1/2 hr and drink as tea. How it works: Lungwort acts by increasing the production of serous mucus in the air passages. This thins out phlegm and makes it easier to expectorate. Besides clearing out mucus, lungwort is known to remove accumulated tar from the lungs, throat, and airways. Smokers who want to quit smoking would greatly benefit from this herb. People suffering from bronchitis, asthma, and respiratory diseases that constrict the airways can benefit from lungwort as well due to its anti-inflammatory effects. How to use- Boil in water and drink that. Thyme may be a common kitchen herb, but like Oregano, it can detoxify your lungs. The evergreen plant has had many uses since ancient times, although its lung cleansing effects weren’t discovered until recently. How it works: Thyme leaves contain a potent detoxifying agent known as thymol – a naturally occurring substance with antiseptic effects. Thymol is so good at fighting microbes that it is commonly the active ingredient in mouthwashes. Thyme cleanses the lungs and airways by removing bacteria, viruses, or fungi. How to use-Add fresh or dried thyme leaves to a pot of boiling water. Let it sit for two minutes and drink as tea. It’s not really tobacco but rather, a common name used for lung cleansing. Also known as Lobelia Inflata, the herb grows only once or twice a year in its native territory – North America have used it to treat respiratory diseases and to detoxify our lungs. How it works: Lobeline is an alkaloid and the main component behind the Indian tobacco’s lung benefits. It promotes the expulsion of phlegm by loosening and thinning mucus found in the lungs and air passages. Lobeline opens up the airways since it is a bronchodilator. How to use: Add 5 to 10 leaves of Indian tobacco in boiling water. Inhale the steam. Elecampane (horse-heal )also known as wild sunflower. Elecampane has a multitude of medicinal benefits.also called horse-heal and wild sunflower. How it works- herb contains inulin which, apart from soothing irritated passages, acts as an expectorant and expels mucus. How to use: Ground elecampane roots not older than two or three years,and add a teaspoon to a cup of water. How to use: Make tea by brewing 1 to 2 plantain leaves in a cup of boiling water, drink. The bread you buy at the grocery store may include an additive that’s been linked to cancer, new findings reveal. The report, which comes courtesy of environmental research and advocacy organization Environmental Working Group, shows that potassium bromate is used in at least 86 baked goods and other products commonly sold in supermarkets. Among the products that contain it: Hormel Foods breakfast sandwiches, Goya turnover pastry dough, and Weis Kaiser rolls. When reached for comment, a representative for Hormel tells Yahoo Health that the products listed in the EWG report “were discontinued over 18 months ago,” were part of a limited distribution test market in three cities, and are no longer on shelves. Joe Perez, senior vice president of Goya Foods, tells Yahoo Health that his company has removed potassium bromate from all of its products, including the Goya Dough for Turnover Pastries, which was flagged by EWG. Potassium bromate is added to flour to strengthen the dough, help it to rise higher, and give the bread a white color. But it has also been identified as a “potential human carcinogen” by the International Agency for Research on Cancer and is listed as “possibly carcinogenic” by theNational Center for Biotechnology Information. Various lab tests on animals found that potassium bromate caused significant increases in kidney, thyroid, and other cancers in animals. A 2011 study published in the journal Chemico-Biological Interactions also found it can damage DNA and cause oxidative stress in humans. Food and Drug Administration has placed a limit of 75 parts per million in food products. Potassium bromate has been banned as a food additive by the European Union, U.K., Canada, and Brazil. The state of California also requires that foods that contain potassium bromate have a warning label. EWG's Food Scores, an online tool to help consumers eat healthier, lists potassium bromate as an ingredient in at least 86 baked goods and other food products* found on supermarket shelves, including well-known brands and products such as Hormel Foods breakfast sandwiches, Weis Kaiser rolls and French toast, and Goya turnover pastry dough. Regulators in the United States and abroad have reached troubling conclusions about the risks of potassium bromate that you probably don’t know about, but should. 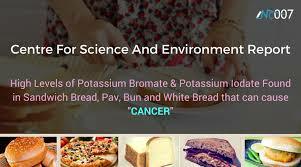 In 1999 the International Agency for Research on Cancer determined that potassium bromate is a possible human carcinogen. 6 It is not allowed for use or is banned as a food additive in a number of countries, including the United Kingdom, Canada, Brazil and the European Union.2,3,4,5 The state of California requires food with potassium bromate to carry a warning label.